It is important for a corporate to have an impactful, value-driving web presence which can be a complicated and confusing process. Our vast experience includes expertise in building corporate websites and ecommerce solutions that utilize emerging state of the art patterns such as Responsive Web Design and Parallax. We guarantee quick web solution delivery through short development sprints in Agile methodology. Agile iterative approach allows stakeholders and customers to interact with what is being built and allow us to deliver exactly what customer need. To start with new web solution, our team interacts with stakeholders and identifies their business needs and priorities. At Transoft Infotech, we ensure that the most professional online representation of your business is provided. Our focus is always on the end user and we make sure that our solutions cater to a variety of devices including Laptops, Mobile, PC, Tablet etc. We provide Responsive Web Design to the clients so that their website perfectly fit on any screen size and all users have the same experience whether they access via a smartphone, PC or tablet. We offer custom-tailored solution to every web project we undertake with the help of existing state of the art technologies. We also provide data migration (If you have existing data you’d like to use), and custom report services to speed things up. In order to simplify site management, our team provides a user-friendly, .NET-based content management system (CMS). CMS allows you to publish content on your own, without sacrificing advanced functionality and integration capabilities. 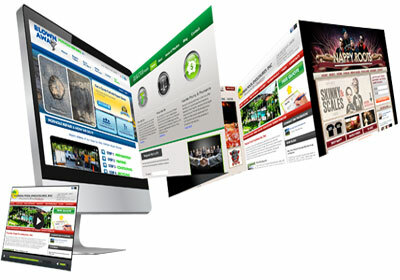 A website is judged on the basis of its performance both by users and search engines. Our team work continuously to improve performance of the web solution, page load times and search engine visibility. We provide integration with Google Analytics on every site we build. Google Analytics gives us the opportunity to track performance of the website and recommend improvements over time.